Your favorite “practically perfect” nanny takes center stage in this supercalifragilisticexpialidocious adventure. 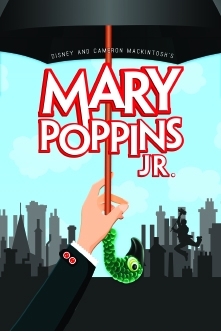 Eastern Shore Repertory Theatre (ESRT) will perform Mary Poppins JR. November 2-4, 2018 at Fairhope Civic Center, 161 N. Section Street in Fairhope, AL. Tickets are on sale now at the links above or can be purchased at the door on the day of the show if seats are still available. Tickets are $15 and are non-refundable. For more information please email questions to easternshorerep@gmail.com.